Registrations will be closed on June 9, 10 pm. Confirmation will be sent on or before 11 June. An open mic is a space where people try their jokes. 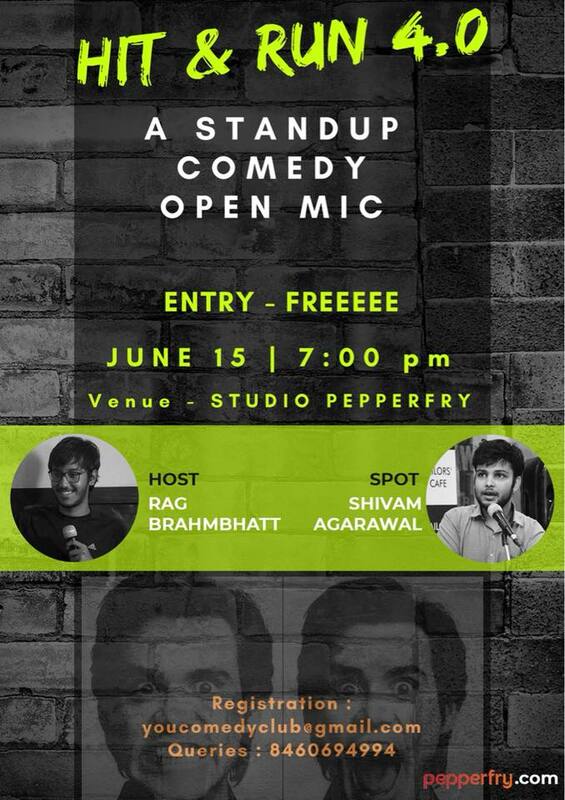 Here you’ll witness some seasoned comics trying out their jokes for the first time or reworking their good jokes to make it even better. You’ll also see how people try standup comedy for the first time. So come for some laughs.